After finishing as one of the worst teams in the league in 2017, the Denver Broncos coaching staff did not have to prepare for the postseason. So, they were assigned to coach in the 2018 Senior Bowl in Mobile, Ala. in early January, where they worked with some of the most prominent NFL prospects from around the country. Through the first five rounds of the NFL Draft, that experience is proving to have been extremely valuable. 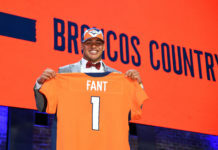 The Broncos have already drafted three players they worked with in Mobile, selecting cornerback Isaac Yiadom in the third round, wide receiver DaeSean Hamilton in the fourth round and tight end Troy Fumgalli in the fifth round. The Broncos have landed two players they got to know at that Senior Bowl — Yiadom and Hamilton. That week is paying dividends. Yiadom is viewed as a solid press cornerback and a player that will be a good fit in Denver’s secondary schemes. After selecting the four-year contributor out of Boston College, GM John Elway tweeted that he liked Yiadom’s competitiveness, size and physical style of play. Hamilton is another player that head coach Vance Joseph and his staff got to work with closely during the draft preparation process. In four years at Penn State, the 6-foot-1, 204 pound wide receiver totalled 214 receptions and 18 touchdowns. 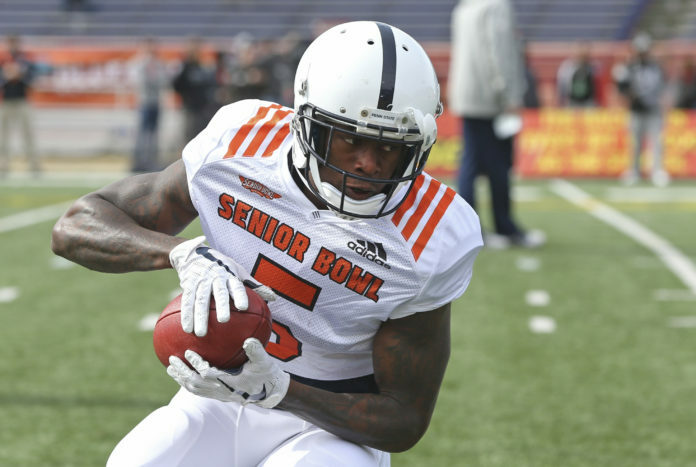 Obviously there is much to learn about these young prospects on the field, but it is clear that the entire Broncos organization benefited from being able to really learn about these young men as players and people at the Senior Bowl. While Broncos fans certainly do not want to see the coaching staff back in Mobile any time soon, the experience they gained at the Senior Bowl may prove to make a huge difference with this year’s draft class. 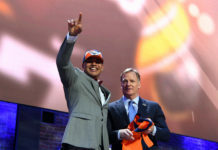 There is no such thing as a can’t-miss pick but unlike how I prepared for algebra in high school, the Broncos truly did their homework with these draft selections.